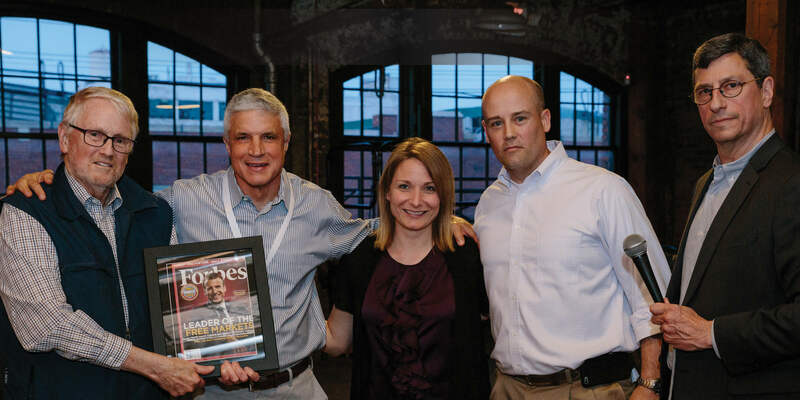 The Motz Corporation, global provider of innovative turf solutions, was named on May 17th, to Forbes‘ 2018 Small Giants List, representing one of 25 companies that value greatness over growth. Founded in 1977 and serving the high-performance natural and synthetic turf markets, The Motz Corporation is one of the most recognized and highly respected turf system specialists in the world. Celebrating more than 40 years in the industry, this employee owned company proudly stands behind their products and services to ensure long-lasting, prosperous relationships with their valued customer base. The Motz Corporation is the parent company to The Motz Group. In its third year running, Forbes, in partnership with the Small Giants Community, recognizes 25 small-to-medium sized businesses that standout because they emphasize greatness over growth. Like The Motz Corporation, each of these organizations are privately-owned, at least ten years of age, financially favorable, and are chosen based on their commitment to their industry, their community, and their people. The Motz Corporation’s leadership team was immediately drawn to the principals and beliefs of the Small Giants Community. Focused on companies that are driven by true trailblazers, Small Giants Community believes that success is about growing a business with purpose. Their organization emphasizes the importance of companies immersing in one’s community and discovering the areas in which they can impact. The Motz Corporation is committed to further fostering their connection with the Small Giants Community, and continuing to embrace their Small Giant title by exercising growth through purpose. ABOUT THE MOTZ GROUP: For over 40 years, The Motz Group has been committed to leaving a lasting legacy with every field they create. They are synthetic and natural turf specialists, focusing on sports field design, construction, removal, replacement, maintenance and management. Motz has made their name designing innovative and comprehensive performance-based sports field systems, tailored to their customer’s specific needs. They build fields from inception to completion with pride, dignity, and the utmost integrity. With quality craftsmanship and proven safety in mind, they are committed to partnering with their customers from groundbreak to replacement, guiding them every step of the way.